The Little Saints Academy Preschool is a part of Queen of All Saints Elementary School. It aims to prepare three and four year old children for the kindergarten experience. Our preschool teachers are early childhood certified educators and implement best practices and researched based strategies in the classroom. For the optimal learning experience we keep our teacher to student ratio at 1:10. The Little Saints Academy schedule options offer flexibility to meet the needs of all families. We offer a morning program from 8:00 am to 11:30 am which is available Monday - Friday or Monday / Wednesday / Friday. We also offer a full day program from 8:00 am to 3:00 pm which is available Monday - Friday, Monday / Wednesday / Friday or Tuesday / Thursday. For greater convenience, drop off is available each day at 7:30 am. Before & After Care is available to full day students. Before Care begins at 7:00 am and After Care goes from the end of the school day until 6:00 pm. There is no dress code or uniform for preschool students, but it is suggested that the students wear play clothes and athletic shoes. 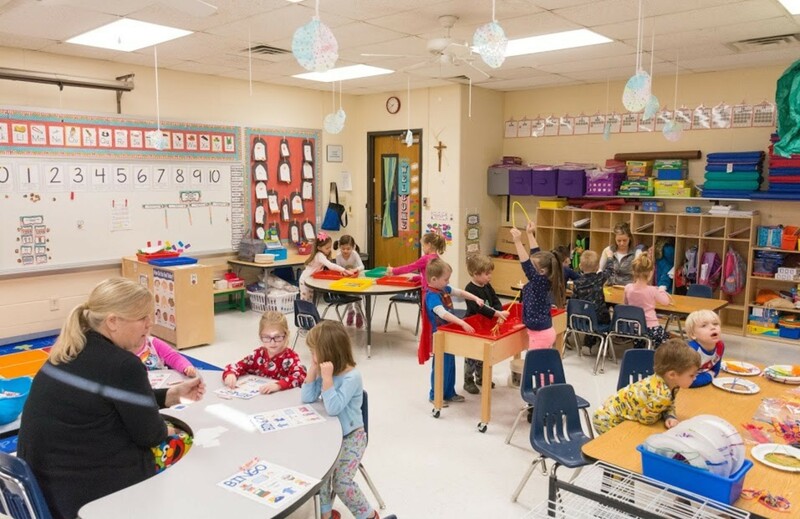 For more information on Little Saints Academy Preschool or to take a school tour, contact our Preschool Director, Janet Cooper, at: cooperj@qasstl.org or our Administrative Assistant, Maureen Hecht, at: hechtm@qasstl.org or by calling the school office at (314) 846-0506 ex 300.